I have a house full of pets. At the moment I have three dogs and a cat and so in the battle to try and keep my house clean, the vacuum cleaner is my most used tool. If you are anything like me then, once you find a brand that you like, you tend to stick with it and find the best model to suit your needs. In this article, I compare five different Roomba models to find out which is the best one for pet owners. Roombas are robotic vacuums that are feature rich. But, of all the features available, which ones are most likely to make pet owners “purr”? The chart below compares which Roomba models have the most pet friendly features. Robot vacuums promise to take away the drudgery of housework and to do it all for you at the press of the button. However, that is only true if you don’t need to keep stopping your robot and emptying its bin. For pet owners this is especially important. And because most robotic vacuums are built to be as small as possible, it takes a very clever design to fit a decent size bin in. The three most recent Roomba models come with large capacity bins (.6 Litres), which are some of the largest bins of any robotic vacuums. Yet having a large bin is only part of the solution. The next important element is a great filtering system. The filters that are placed in the best Roomba vacuums are called “high efficiency” filters. These filters are capable of collecting up to 99% of all allergens as well as capturing particles as small as 10 microns- ten millionths of a meter! As a pet owner myself, I know that having pets living in the house with you means that your house will be “dirtier” compared to houses that are pet free. Having great brushes and suction to clean up all the visible hair and dirt is only one half of the struggle, a very effective filter that blocks the invisible germs helps keep our houses safe as well. All Roomba devices in this comparison use a three stage cleaning process (loosen, lift and suction) as the brushes work together with the suction. This attention to detail is crucial for pet owners- some of whom face a constant struggle to keep their floors free of hair. Three of the models however offer large increases in power- up to 10 times as much as older models. The Dirt Detect feature identifies areas of your floor that are “dirtier” than other areas and instructs the vacuum to spend longer cleaning it up! What a great feature for a dog or cat owner! No matter what time of year it is, there will always be pet hair somewhere on your floor. But it doesn’t mean that your floor is totally covered in it, it will collect in some places more than others. Having a machine that can intelligently identify exactly where the hair or dirt is and spend longer in that area is a real bonus for us animal lovers. Pet owners live in houses that have more hair or fur to clean. The issue with this is that large amounts of dog hair in particular can affect the performance of how well the brushes on a Roomba work because of the risk of it getting caught in the brush. Tangle free rollers are specially designed central brushes on Roomba machines that will loosen and lift any hair or fur on your floor without getting it “tangled in the brush” which would make your robotic vac less efficient, or worse, stop it from working completely. A Roomba that has the Deeper Cleaning feature knows what floor type it is cleaning and increases the suction power and speed of the rollers when it goes across carpet. This extra power is very important to a pet owner. Hair and fur is much tougher to clean off carpets than most other types of debris because the hair gets “tangled” with the fibers of the carpet itself. Having a robovac that automatically responds in these situations is a very attractive feature for a dog or cat owner. And that is it for this section about the most attractive features for pet owners. As you might have noticed, there are some powerful Roomba features that I haven’t mentioned. This is because, although they are fantastic features, they might not be a priority for pet owners. Anyway, let’s discuss these issues now. 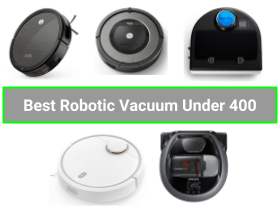 The better a robot vacuums battery life, the longer that it can keep cleaning and in simple terms that means more clean floors compared to devices with shorter running times. The best performing Roomba model can keep going for up to 120 minutes before it needs to be re-charged. The main benefit of longer running times on certain models of Roomba is that homes with pets in, need to be vacuumed more often or for longer periods of time than pet free homes and so good battery will be viewed positively. All Roomba models can self charge. This is the ability of a robotic vacuum cleaner to know when its battery is getting low and to independently find its way back to its docking station to recharge. But, the very best Roombas are even better. They can recharge and resume. Not only can these devices find their own way back to the docking station, once charged up they can start cleaning from where they left off. Owning a Bot that can recharge and resume just provides extra peace of mind for a pet owner who wants to know that no matter how long it takes, your floor will be cleaned. A voice controlled robot can connect to Alexa (Amazon’s digital assistant) and respond to simple commands such as start and stop. Voice control is a new but rapidly expanding technology that has incredible potential. I am not sure that as it currently stands it has any uses that are particularly helpful to pet owners- although if you happen to be standing around and watching your Roomba as it is on a collision course with one of your pets, the ability to shout “Alexa, [Roomba Name] stop!” is a pretty useful function! WiFi connected Roombas can be controlled remotely via the company app on a smart phone. This is an incredibly powerful feature for most users because it means that you can control your robotic vacuum no matter where you are in the world. Off the top of my head, the only benefit that this would bring to pet owners, might apply to dog owners who like to vacuum whilst the dog is out of the house on a walk. If for any reason the timing of a walk changes, the timing of the vacuuming can also be changed. Most Roomba models have a scheduling feature. This is the ability to set up specific times for the Roomba to start cleaning up until 7 days in advance. A smaller benefit that this might bring to dog owners who like their Roomba to clean whilst the dog is out of the house on a walk is that a planned schedule can be created for the week ahead. * With the simple press of a button, the Roomba 614 will clean your entire home effectively, ridding even the dirtiest areas of pet hair and debris. * Through leveraging the same Dirt Detect sensors found on the Roomba 690, the 614 is able to seek the dirtiest areas of your home or flat and clean them accordingly. * The extra HEPA filters included with this model allow for pet owners to save money on the cost of future replacement parts upfront. * Owners of Black Labs, German Shepherds, and smaller breeds all agree that this model is an effective solution for cleaning common pet-related messes. * Others have noted that those with pets that shed heavily may want to look elsewhere, as this model has a particularly small dustbin when compared to other offerings. What Makes the Roomba 614 Unique? And who should buy the baby of the Roomba family? This is perfect device for open plan starter homes with little or no carpets. It is ideal for any buyer that is not bothered about controlling their robovac via their smartphone but who still wants a reliable and good performing machine from a brand that they trust. Or finally for a buyer who might be intrigued by all the hype surrounding these “robots” and who wants to make a cautious investment to check out their full potential. * The Roomba 690’s Auto-Adjust Cleaning Head allows the vacuum to effectively clean pet debris and hair on both hardwood floors and thick carpet, making it a versatile option for those with even the messiest of pets. * iRobot’s Dirt Detect sensors allow this unit to seek out the dirtiest areas of a room and concentrate on problem spots, such as particularly dirty areas like around pet beds. * Onboard Intelligent Navigation makes it near impossible for this vacuum to damage furniture or describe your resting pets. * Those with pets have given this model mixed reviews. While it has strong cleaning capabilities at a strong price-point, the small dustbin means that users must clean out the vacuum daily. * With this being said, most buyers rave about the model’s quiet nature,which allows for effective cleaning while at the same time preventing your pets from being scared by the unit while it cleans. What Makes the Roomba 690 Unique? This is a great device for an app loving pet owner with an eye for a bargain. Again the size and type of space that you live in will be critical. It can self charge which means that any cleaning sessions can only last up to 60 minutes. The Roomba 690 would be perfect for a smaller house that is dominated by one wide open space and would be very efficient of hardwood or tiled floors. * iRobot’s AeroForce 3-Stage Cleaning System gives this model the ability to loosen, lift, and remove dirt and pet hair to ensure a quality cleaning with every use. * Dual Multi-Surface brushes assist the Roomba 890 in its quest to rid your home of pet hair. Brushes on this model are especially easy to clean, providing an added bonus to pet owners concerned about their Roomba’s upkeep. * A full suite of intelligent sensors placed throughout the Roomba ensures that it will not damage your furniture. More importantly, such safety features allow for peace of mind, as the Roomba 890 is able to effortlessly avoid bumping into your pets as they rest. * User’s rave about the Roomba 890’s ability to rid homes of pet hair. One notable reviewer mentioned that this model effortlessly cleaned up after their two Labrador Retrievers with ease. * With this being said, buyers should be warned that these units have been known to smear pet droppings if they come in contact with them. While this could present a concern to some pet owners, those with house trained dogs or cats have no reason to be concerned. How is the Roomba 890 Unique? This is a perfect device for owners of one very hairy pet or a collection of hairy pets! The Roomba 890 can still be controlled via an app which provides lots more flexibility for people who lead busy and hectic lives. * iRobot’s patented Multi-Room Coverage Technology ensures that the Roomba 960 will clean up pesky pet hair, regardless of its location within your home or flat. * This unit’s HEPA filtration system works to prevent allergies from spreading throughout your house while simultaneously cleaning up even the hardest pet-related messes. * The Roomba 960 is fully compatible with iRobot’s Dual Mode Virtual Wall Barrier system, allowing pet owners to set certain areas as “Off Limits” for the vacuum. 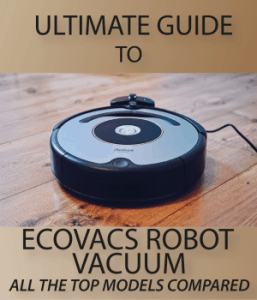 This feature is particularly useful for pet owners who want to keep their robot vacuum and pets in separate rooms during cleaning sessions. * Owners of the Roomba 960 rave about its ability to thoroughly clean pet hair and debris. However, the unit’s small dustbin means that the unit must be emptied after each cleaning. * According to user reviews, this model is particularly quite as it cleans, presenting a great option for pet owners who have furry friends that are easily disturbed by conventional vacuum cleaners. What Makes the Roomba 960 Unique? This Roomba may not have the extended running time or the carpet intelligence of its sister the 980, but it can clean multiple rooms and recharge and resume cleaning and so it would suit people who live in large homes (most of which is not carpeted) and who want to regularly clean more than one room. parts and filters are included, ensuring that your Roomba 980 will be around to clean up after your pet for years to come. * Automatic recharging can allow for multiple autonomous cleanings per day, a particularly useful feature for users that have notoriously messy pets. * iRobot’s iAdapt 2.0 Navigation ensures that your Roomba will avoid walls, furniture, and more importantly your beloved pets while cleaning around the house. * Buyers are divided on this model’s ability to sufficiently clean up after pets. While some have raved about the model’s ability to clean pet hair and debris, many reviewers have complained that the unit has the tendency to push pet hair further into carpeted floors. * Users with multiple pets have suggested investing in the wifi equipped model to allow for smart home integration. While not directly pet-related, such features will allow for your Roomba to clean more frequently, and therefore more effectively. What Makes the Roomba 980 Unique? Unique because of its staggeringly long running time of 2 hours and its ability to identify and deep clean carpets, this robovac would be ideal for buyers who live in very large homes, most of which is carpeted.